We have seen a quiet recovery for Pound Sterling in the absence of any negative headlines. Add to this some rambunctious tweets from President Trump weakening the Dollar and the GBPUSD pair is tip-toeing upwards, shrugging off the recent dip below 1.30 as nothing more than a temporary blip. It is these sudden blips or brief recoveries in Cable that leave traders scratching their heads and pondering the now tiresome question, “Is this Brexit related?”. The short answer is that it is just too difficult to dissect the Brexit fundamentals, mainly due to a lack of clarity surrounding negotiations. I guess you could argue that the longer-term drop in the Pound could be a sign that the market has already begun pricing in a degree of uncertainty, but it’s more likely that nobody truly knows the outcome. Whatever happens, the technical picture for GBPUSD suggests we may be in for a continued move down unless something drastically changes the overall market sentiment. First, we will visit GBPUSD on the daily timeframe using the Point & Figure method, as I believe it provides us with a reasonable downside target. As shown, a bearish resistance line formed around the 1.36 mark which put us firmly in a downtrend. It was a bold move south from the 1.44 highs and shows signs that the bears are in control longer-term. Price collapsing through the 1.3050 support level was significant as it had failed on three previous attempts. Assuming the weight of this trend continues, the chart suggests 1.28 as the next major area of support. Given we reached as low as 129.60 last week, it appears this level could be within reach in the coming weeks. Alternatively, a bullish move towards 1.33 would require us to reassess the latest trend, and anything above this region has the potential to be a minefield of choppy resistance. On the daily Ichimoku chart below, we see a great example of this. Note the thickness of the cloud above 1.33, although not impenetrable, it will likely be gather upward momentum. Perhaps the most precise view of Brexit’s progress when it comes to the value of Sterling can be seen in the EURGBP pairing. The EURGBP daily chart highlights Brexit’s indecision or lack of clarity as reflected in this longer-term range. Since October last year, we have yet to see a final move from either the Pound or the Euro. One thing I would point out is that the Euro has its nose in front regarding strength against the Sterling. The latest price is trading well-above the 200 EMA (Exponential Moving Average) which is a bullish signal. We can also see the Euro gaining much ground over the past month against its counterpart. Any continuation of this move would make 0.90 a critical level to watch. There is always a tendency to become complacent when currencies have been trading in a long-term range, or when political campaigns survive well past their use by date, polluting the fundamentals. Trading can become less exciting, and we start to assume that the status quo will remain. 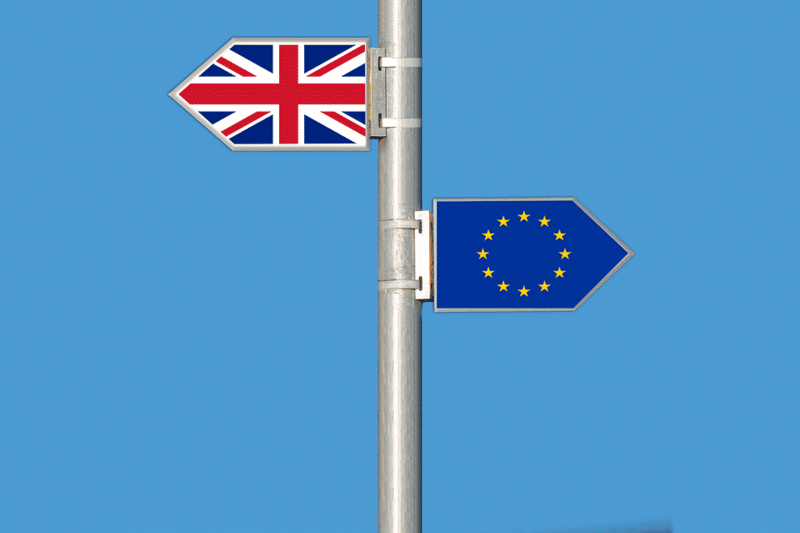 In this case however, it is worth keeping tabs on the Pound Sterling, as once Brexit is resolved one way or another, we could see some considerable shifts in the market whilst those on the sidelines are caught napping.